In her new book, "White Identity Politics," the Duke political scientist Ashley Jardina examines the increasing relevance of white identity in America. Drawing on data from American National Election Studies surveys and her own research, Jardina finds that about thirty to forty per cent of white Americans say that white identity is important to them, and she adds an interesting twist-that this group only partly overlaps with the group of white Americans who hold racist views. According to Jardina's analysis, about thirty-eight per cent of white people who highly value their white identity are at or below the mean level of racial resentment, while forty-four per cent of white people who say their racial identity is less important are at or above that level. "For those invested in racial equality, this outcome should be of little comfort," Jardina writes, of white Americans asserting their identity, with or without explicit racial resentment. In the past, she notes, when white people have been asked to share resources and power, they have not responded "by leveling the field; instead, they have expanded the scope of who is considered white, allowing the racial hierarchy to remain more firmly in place." Isaac Chotiner, "The Disturbing, Surprisingly Complex Relationship Between White Identity Politics and Racism," The New Yorker, January 19, 2019. https://www.newyorker.com/news/the-new-yorker-interview/the-disturbing-surprisingly-complex-relationship-between-white-identity-politics-and-racism. 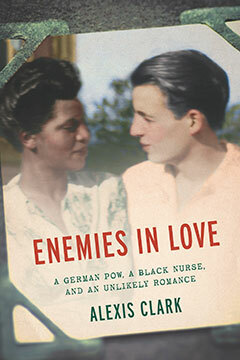 The nurse and the soldier may never have met – and eventually married – had it not been for the American government’s mistreatment of black women during World War II. Elinor Elizabeth Powell was an African-American military nurse. Frederick Albert was a German prisoner of war. Their paths crossed in Arizona in 1944. It was a time when the Army was resisting enlisting black nurses and the relatively small number allowed entry tended to be assigned to the least desirable duties. “They decided they were going to use African-Americans but in very small numbers and in segregated locations,” said Charissa Threat, a history professor at Northeastern University who teaches race and gender studies. Ms. Powell was born in 1921 in Milton, Mass., and in, 1944, after completing basic training at Fort Huachuca, Ariz., she was sent, as some other black nurses were, to tend to German prisoners of war in Florence, Ariz.
…The American military officially ended segregation after WWII, but for the Alberts, the issue of race would resurface throughout their lives. Their unlikely romance resulted in Stephen’s birth in December 1946. After Frederick was able to return to the United States, he and Elinor married on June 26, 1947, in Manhattan. “I would say the first 10 years for my parents were a struggle to find some kind of economic security and a safe haven for an interracial family,” said Chris Albert, who plays the trumpet with the Duke Ellington Orchestra. In less than two years, Frederick, Elinor, Stephen and Chris, who was an infant, returned to the United States….